Writing a movie script is a task that isn’t for the faint of heart. The world of screenwriting is a notoriously difficult one to break into – and equally difficult to remain active in even when you’ve had your time as the flavor of the month. Without representation (an agent, a manager or both), your chances of selling a script are very, very low. Just like in the fiction market, rejection is part and parcel of the job for screenwriters. Not every novelist can capably tackle a screenplay, and not every screenwriter can write novels – but if you’re thinking of translating your story to the screen, here are a few core tips that will ensure your screenplay gets a fair read… either at the producer’s table, or by an agent eager to shop your work to the world. A screenplay is not the same as a stage play. It also isn’t a novel. There are specific rules and expectations for the film script format. Make sure you know them, and stick to them. There’s no room for “creative” fonts and attempts to break the mold, here. Producers and agents are inundated with scripts every year – disregard for the rules of the craft doesn’t make you stand out… it just makes for an easy excuse to pass on your work. Dedicated screenwriting software such as Final Draft, Movie Magic Screenwriter and Celtx will make formatting your screenplay incredibly easy. Scrivener also has a script mode that can help you out – and could be ideal if you spend most of your time writing novels with only an occasional dip into screenwriting. The price tag for all-singing, all-dancing software can often be eye-watering, though, so for script writing software that’s free you might want to check out Amazon Storywriter or Trelby. Amazon’s offer makes use of cloud storage, which is handy if you do most of your writing online, but do bear in mind that free software will obviously come with its own foibles and restrictions, and most will lack the fuller suite of story planning tools that you’d find in the paid options. That said, if you intend to make a career (or even just a damn good effort) in screenwriting, you owe it to yourself to use the best tools available. You could mess around with Microsoft Word templates, but it’s better to save yourself the headache and use software specifically designed for the job. It’s just a matter of finding a dedicated one that works for you. Unless you already have some clout in the filmmaking world, it isn’t a good idea to make your screenplay an exercise in blending or bending genres. There are some exceptions (for example horror-comedy, which has become a genre in its own right) but for the most part, play it safe. Pick a single genre and stick to it. And when we say stick to it, we mean like glue. Immerse yourself in the best current films within that genre and within your target budget. Watch them over and over again. Read the screenplays as you go and observe how they translate to the screen. This will help you pick up the kind of story structure, beats and arcs that are looked upon favorably within your chosen genre. Truly study some of the most successful screenplays that you’re hoping to mirror. Pay close attention to the story structure, the descriptive style, whether or not they contain much (if any) physical direction or cinematography notes, and how the characters are introduced and developed. With the natural economy of words demanded when writing a movie script, there’s a different set of skills and techniques you’ll need to master in order to bring what’s in your head to life for the reader. Unlike when writing a novel, you’re not the director. You don’t get to dig into the finer detail of every shot and scene – and that can be a trying experience for the uninitiated. Getting to grips with this on a per-genre basis is a very good way to start. This way, you can get a feel for how established screenwriters ramp up tension, describe second-by-second adrenaline-pumping action, or create moody horror and jump scares. Check out the Internet Movie Script Database for script writing examples and a whole host of freely available screenplays that can help you hone your chops. If you’re hoping to sell a big budget picture, you’d better make it suit a big budget star. If you’re aiming for the low budget or independent scene, write for the niche darlings. As you did previously with the specific films in your chosen genre, also research the actors that hold sway in that arena. Read interviews with them and figure out what makes them tick. What excites them about the roles they take? Read widely so you can dig through the usual PR speak – find those interviews where the actor really seems to feel comfortable and starts giving more candid insight into what they enjoy about their roles. Note down what they say, and create a profile of them as an individual away from the film set. Once you’ve built a profile of that actor’s professional wants and needs, go ahead and give them what they’re looking for in a tailor-made character! 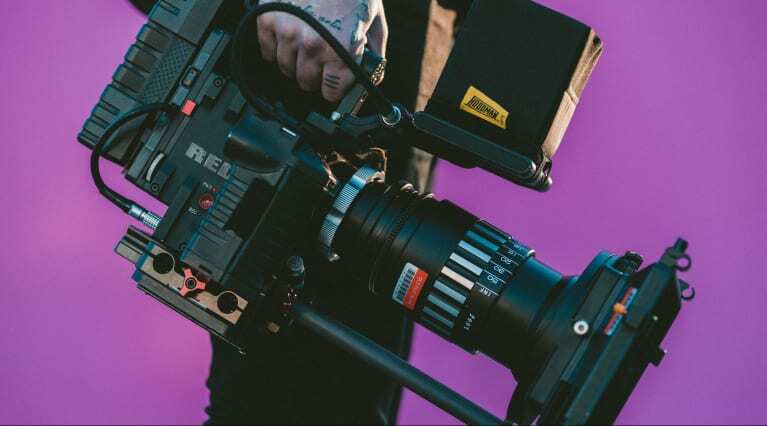 Actors with clout can carry a large amount of sway once they’re attached to a project – and this holds true at almost every level of the industry. If you can get them to go to bat for your screenplay, it will make for an easier sell to producers. Of course, getting access to these actors so you can show them the script and convince them to sign on is another matter. That’s one for your agent to deal with later down the line! In a nutshell, though, write with your ideal lead actor(s) in mind. Have something you just know they can immediately see themselves appearing in… because you wrote it with them already in the role. We said that three times because there are three acts. Clever, eh? Listen – as wild and creative as you might want to make your screenplay, make sure you don’t deviate from standard story structure. You need to plan your story to fit the standard three acts. Some might argue that this isn’t necessarily true… but before you’re a big shot, don’t even try to mix it up. You need your protagonist(s), your villain(s), an inciting incident that kicks off the high stakes confrontation – and you need consistent rising action and a constant sense of progression. In a tight screenplay, cause and effect ripples in and out of almost every scene, and dramatic conflict is ever-present. Everything has to mean something. Everything has to lead to somewhere else and move the story forward. This is exactly what adhering to structure helps you to do. If you thought the tightness demanded when you’re writing a novel was strict, the screenplay form is waiting just around the corner to give you a whole new lesson. It’s well known in the industry that you have exactly ten pages to grip the reader or your script is going in the trash. It’s as simple as that. Ruthless, yes, but still undeniably true. Studio readers, agent secretaries, private assistants to actors and directors – almost every single one of them will adhere to the ten page rule. Film is a high-pressure industry at every level, and nobody has the time to sit down and warm up to your screenplay. The slush pile is a mile high, and the trash can might as well be just as deep. When writing a movie script, make sure to start off with a bang – physically or emotionally. Just like the first chapter of a book, the goal of your first ten pages is to hook the reader, pull them in and intrigue them enough that reading the rest feels like a good use of their valuable time. More importantly, it also needs to feel like it’s a good use of their money, and that means it needs to clearly signal that it would be of interest to the intended audience and likely to turn a profit. This rule translates directly to the screen – it’s been shown that most audiences will decide whether or not they like a film based on the first ten minutes alone. Distributors can’t sell films that people walk out of before the story’s even moving. It’s a rule in fiction, and it’s doubly important in screenwriting. Remember: you’re writing entirely visually. You don’t have the luxury of internal dialogue, laying out character thought processes, or savoring long, drawn-out character definitions. You could do these, of course, but they’re generally frowned upon as lazy and clichéd when writing a movie script. An introductory voice-over, for example, will need to be sensationally compelling if your script is to avoid a swift trip through your potential producer’s shredder. And when you have an accepted maximum of 120 pages (1 minute per page) to tell your story, every word counts. Attitudes, back-stories, loves, fears… everything must translate visually to the screen, whether through character action/reaction or dialogue. Beware, however, of on-the-nose exposition – one of the most common pitfalls of the rookie screenwriter. Such a thing can sneak in very easily, but that’s telling, not showing. Every time a character opens their mouth to divulge important story details or fill in the blanks, you need to step in and see if there’s another way. It could be something as simple as pointing out the story’s setting or date. Always think about how the information could be conveyed visually rather than through dialogue. On the other hand, it also isn’t your place to dictate camera movement, shot composition or every technical detail. As we said earlier, you’re not the director here. It’s their job to fill in the blanks and bring the writing to life in a more detailed manner. Just tell your story and leave the rest to the director and their crew. You’re building an incredibly detailed framework, but not going near the lengths of minute inspection that you would when writing a novel. You must be very careful with what you’re showing vs. what you’re telling in your screenplay – but if you nail it, you’ll stand out straight away amidst the tens of thousands of scripts hitting producers’ desks every year. If you’re already a regular writer of screenplays, or fancy adapting some of your own novels to the format for practice, why not give AutoCrit’s Movie Script setting a try when it’s time for editing. By comparing the content of your screenplay to an extensive database of successfully-produced scripts, AutoCrit will help you find those spots where you stand to make greater gains in the economy of words, and strengthen your chances of seeing your name up on the big screen.